Rethinking how exceptional students learn is the cornerstone of the academic experience in Honors College. Students have the option to enroll in Honors classes offered in their major and to choose our diverse small seminars, which are capped at 15 students. Honors seminars encourage discussion and deliberation, critical thinking and discovery. In the Honors College, there are many ways to learn—from departmental honors to small seminars, visiting faculty and artists-in-residence to self-directed study, honors by contract and internships. The Honors College prepares students for a future of service, advanced education, and outstanding professional achievement. Maunica, who has been involved in Model United Nations since high school, aspires to become a communications strategist for the United Nations or an embassy. 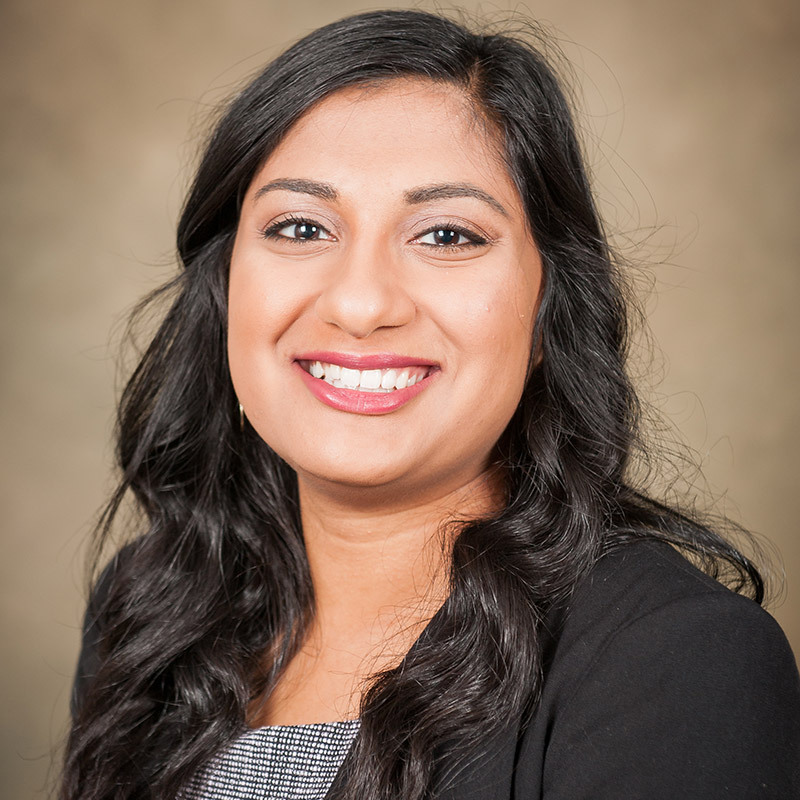 In the Honors College, she found faculty mentors and innovative scholarly opportunities that gave her the resources, confidence, and skills to pursue her passion. “The classes are innovative and engaging. Each class has been different, but very developmental for my entire education,” Maunica said. In “Power,” an Honors course taught by Dr. Ross Bryan, assistant dean of the Honors College, Maunica and her peers explored historical and contemporary notions of cultural and social power. At UA, Maunica served as an Honors College Ambassador, worked as chief of external relations for the International Model United Nations Association, raised funds for UNICEF, and led a cultural immersion study abroad program in Serbia for 20 fellow UA students. Education is about finding answers, solving problems, and improving lives. In the Honors College, research opportunities provide students with an environment that supports and encourages academic rigor. Some students partner with faculty in research projects; others begin work on a graduate degree while still an undergraduate. 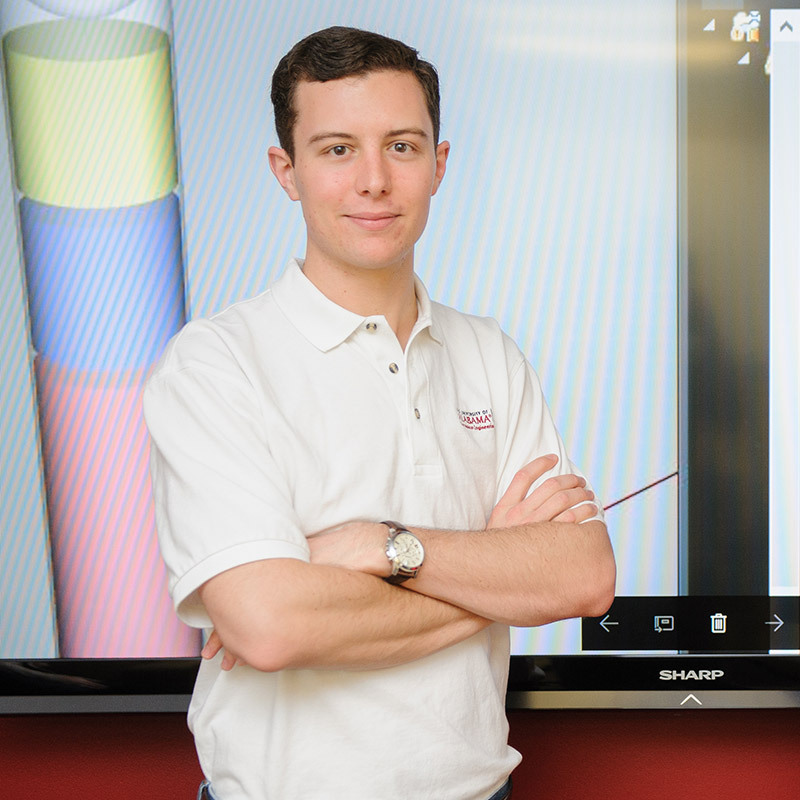 Still others use the most advanced technology available to conduct their own research in the Randall Research Scholars Program (formerly Computer-Based Honors Program). Not a computer major? Not a problem. This selective program is for honors students who want to make a difference in the world around them through research and dedicated study. Our students are some of the most highly awarded for academic achievement and outstanding scholarship in the nation. Imagine you are designing a car, but you don’t know how big the wheels are, the specifications of the body, how the fuel interacts in the engine’s combustion chamber or how you are going to make the wheels move—and each variable changes based on the others. That’s how Clay describes Alpha Rocket, the research project he and Reid worked on together as part of the Computer-Based Honors Program. Except, imagine the car is a rocket, you are engineering students who haven’t yet taken a course on rocket propulsion, and you’re writing code for a computer program that will help other students more intuitively understand rocket design. 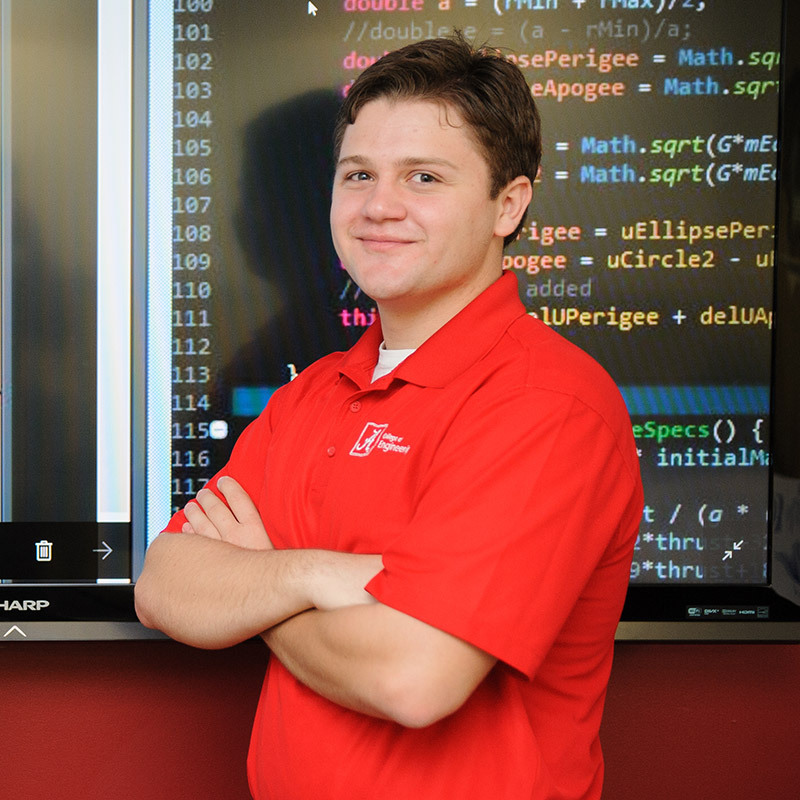 The project originated with a faculty member from UA’s Aerospace Engineering department, who came to the CBH Lab in need of help translating a rocket design program, which was written in MATLAB, into Java, a more accessible code language. He also needed the program to have a user-friendly interface for students. With the programming skills Clay and Reid learned in CBH, the research partners accepted the challenge. But they needed to better understand the subject matter, too. “I had to take the textbook and learn rocket propulsion in a month,” said Reid, who otherwise would not have studied the material until a year further into his engineering coursework. Alpha Rocket allows users to input variables—such as diameter, or whether the propulsion system is liquid, solid, hybrid or nuclear. The program performs calculations based on analytical and historical data, and returns information critical to the design, Reid said. It also produces a 3-D rendering that shows how rocket height changes as other variables change. For professionals, it’s a preliminary design tool that can be used to roughly estimate cost. For students learning about rocket design, it’s an intuition-building tool. We believe education changes lives—our students’ and those of people in the world around us. There are plenty of opportunities for students to serve the community right now. Some Honors students commit to a semester-long mentoring program in local schools, while others register for a service-learning course. Some students volunteer for a weekend project sponsored by our Honors College Assembly. Our students quickly discover how education and service change them and can change the world. With the support of Honors College faculty, Rachel researched, developed, pitched and successfully launched BRIGHT, a student-led educational outreach program that introduces preschool and kindergarten children to the STEM fields (science, math and engineering) through books and related fun activities. BRIGHT has been well received and highly requested by teachers in local schools. 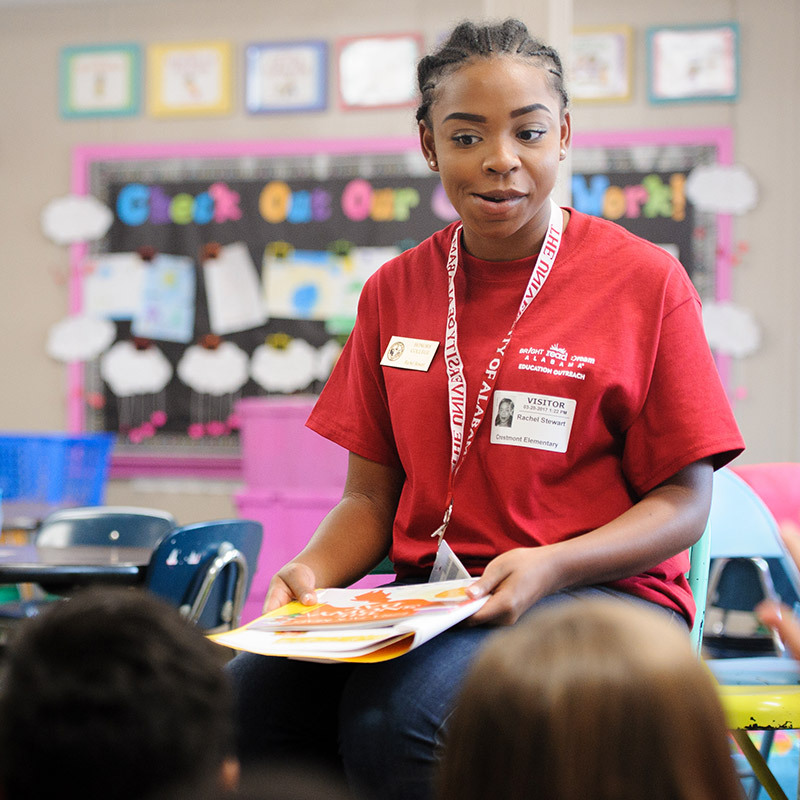 As director of the program, Rachel develops the curriculum, visits the schools and oversees the UA students who serve as site coordinators, facilitators and mentors. Despite all the moving pieces, “It does not feel like work,” said Rachel, who is grateful to the Honors College for helping make it possible. Education should expand our minds—and our understanding of the world. Global curiosity encourages compassion, collaboration, and engagement. Wherever we have the ability to explore our connections or our differences with one another, we have opportunities to engage with others “across cultures.” Our students find many opportunities to engage with others, and with the community, across cultures. Students can attend on-campus lectures that provide artistic insight or highlight other countries and celebrate cultures. They volunteer to be a “first friend” or conversation partner for an international student. They do community service in Alabama’s Black Belt. They study abroad, including participation in Honors-only experiences. And through it all, they learn more about themselves and the world around them. Marley’s words come from firsthand experience. 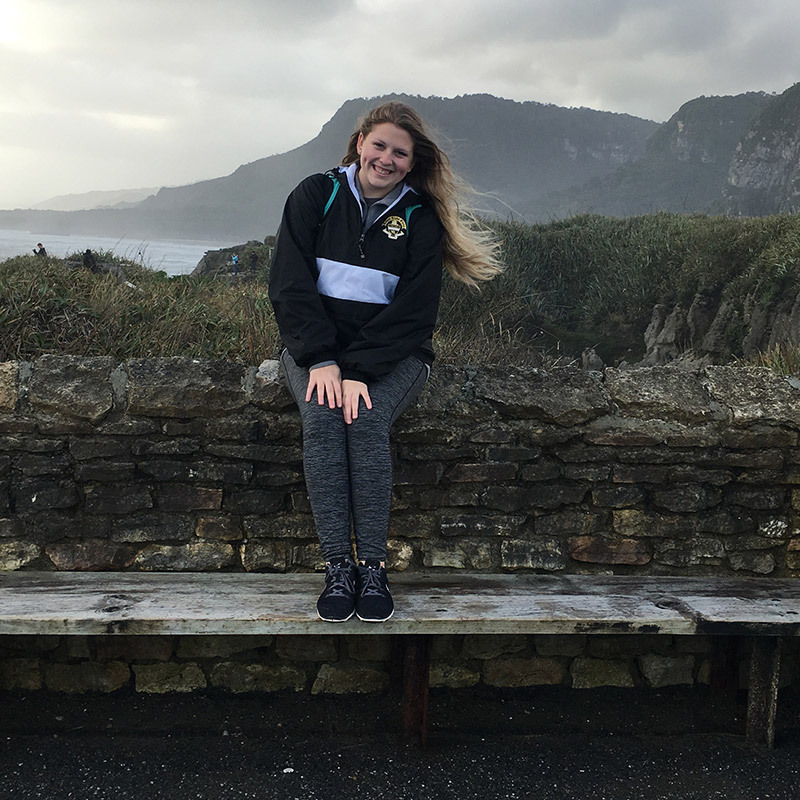 She traveled to New Zealand as part of an Honors-only study abroad program. Honors faculty who accompanied students on the trip helped Marley understand how to interact and connect with people in other cultures. Marley says intercultural experiences through the Honors College, on campus and abroad, helped prepare her for her next big opportunity. She was one of only 20 students from the U.S. chosen to travel to Shenzhen, China, for Huawei Seeds for the Future, a summer program that immerses future STEM industry leaders in a global work environment. She gained practical work experience in information/communication technology while living and working in a culture very different from her own. After graduation, Marley hopes to live or travel abroad for her career.